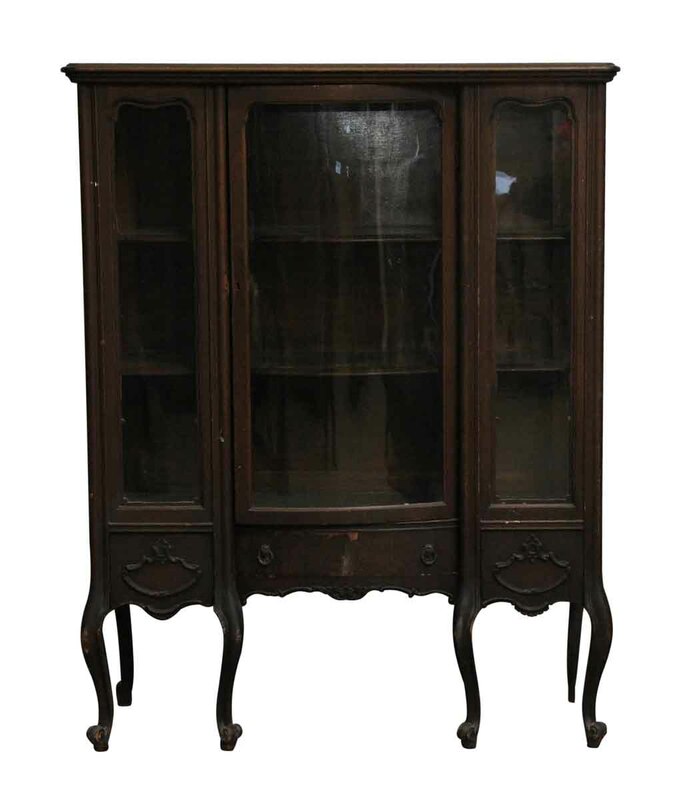 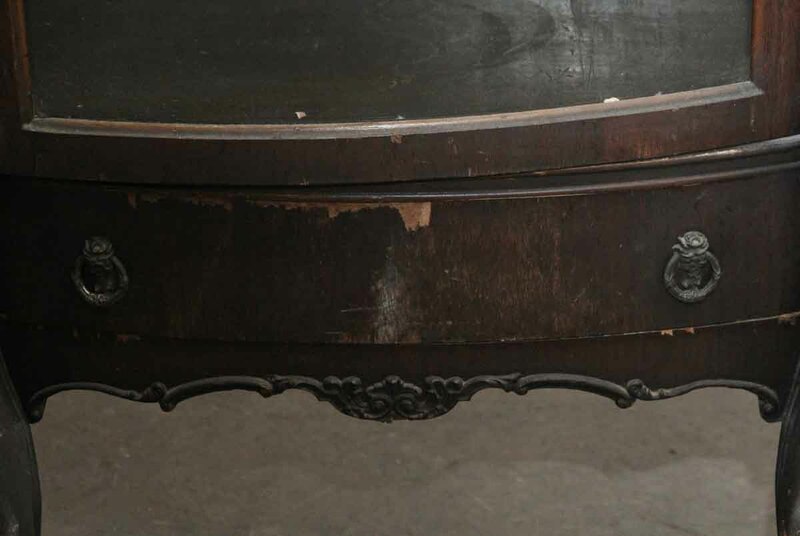 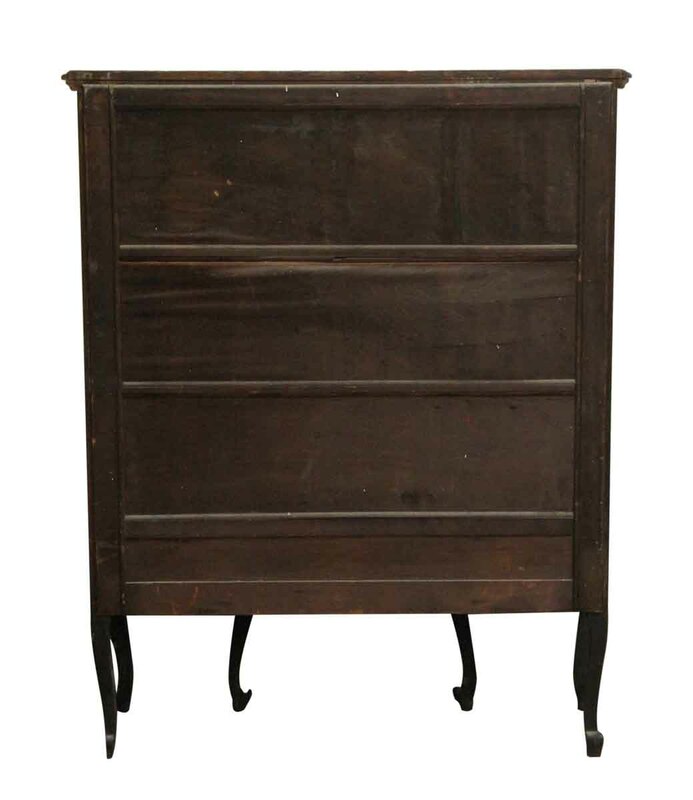 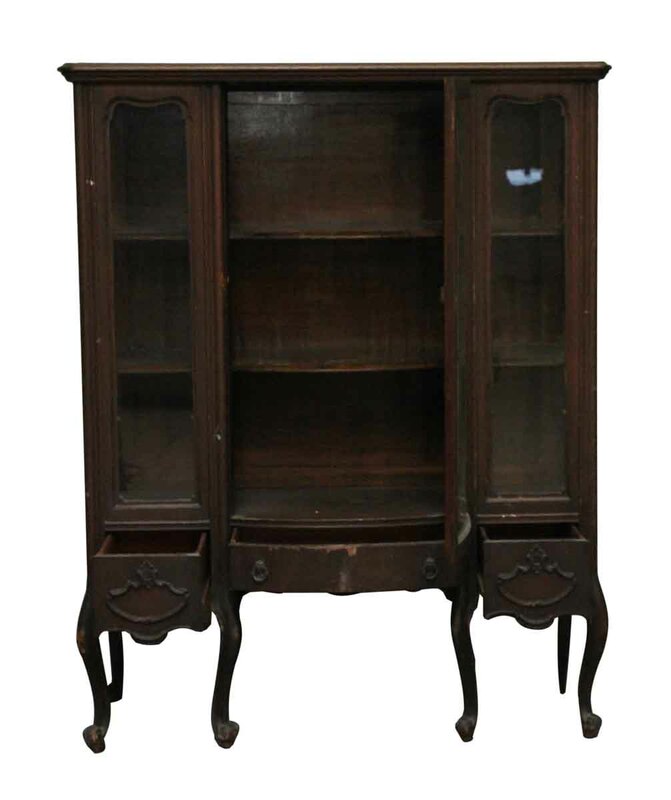 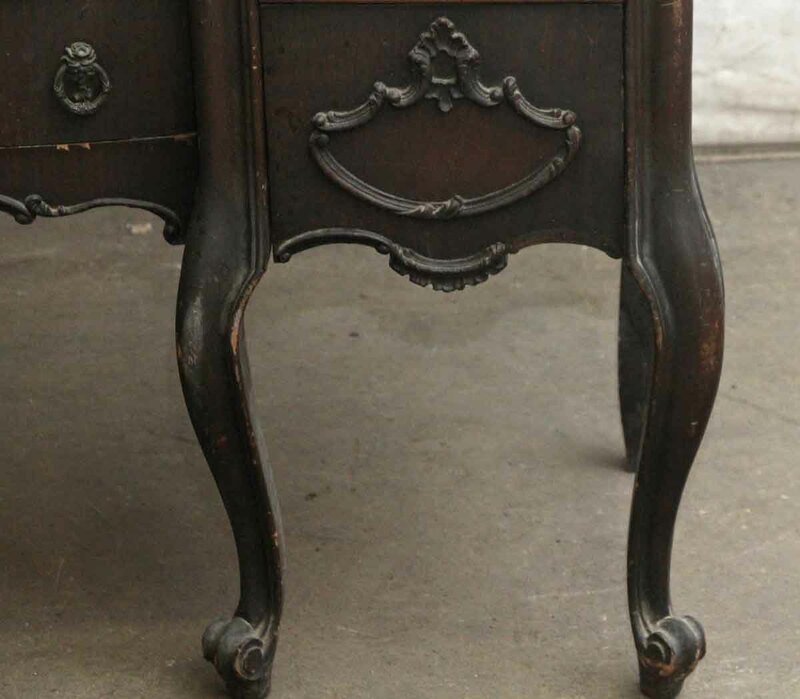 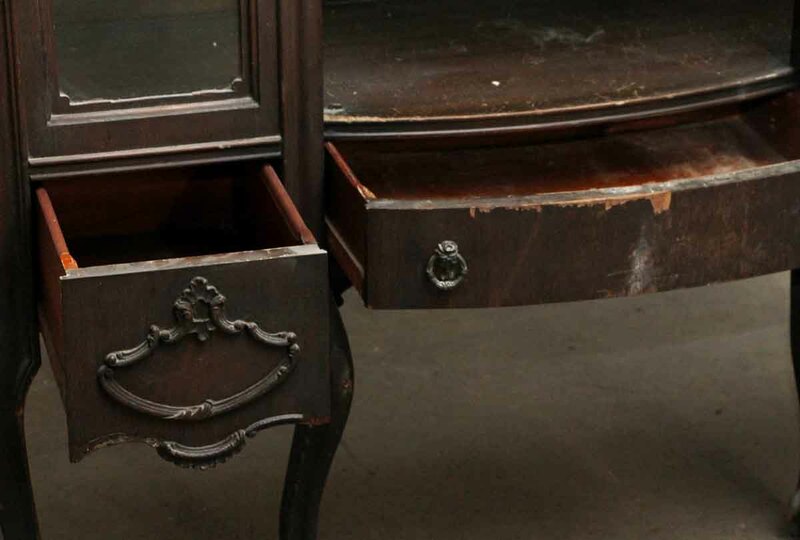 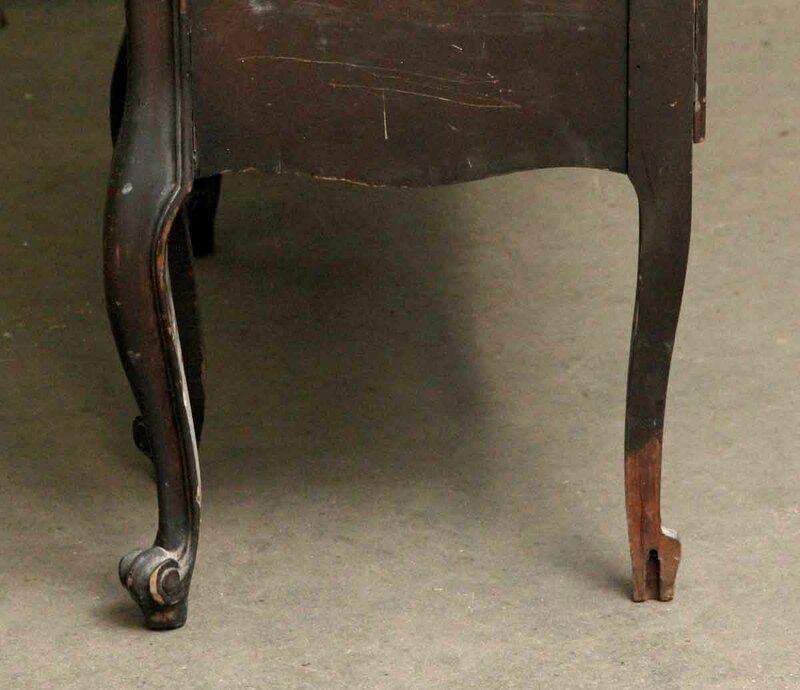 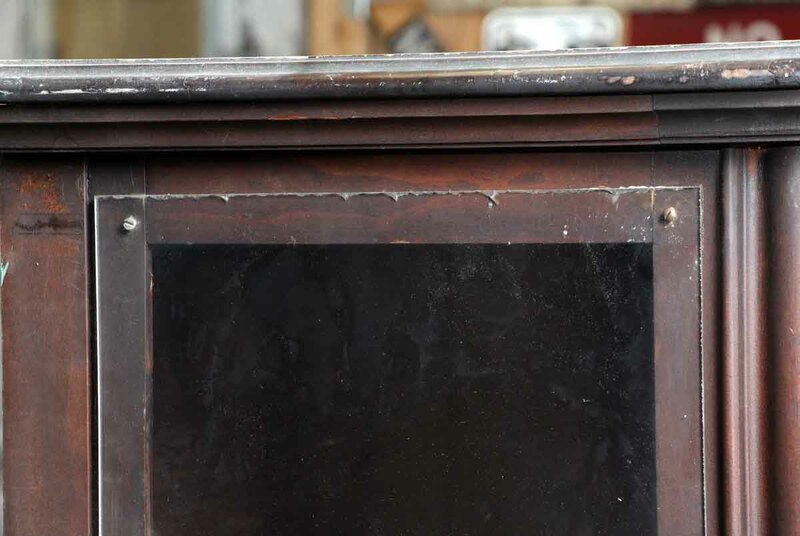 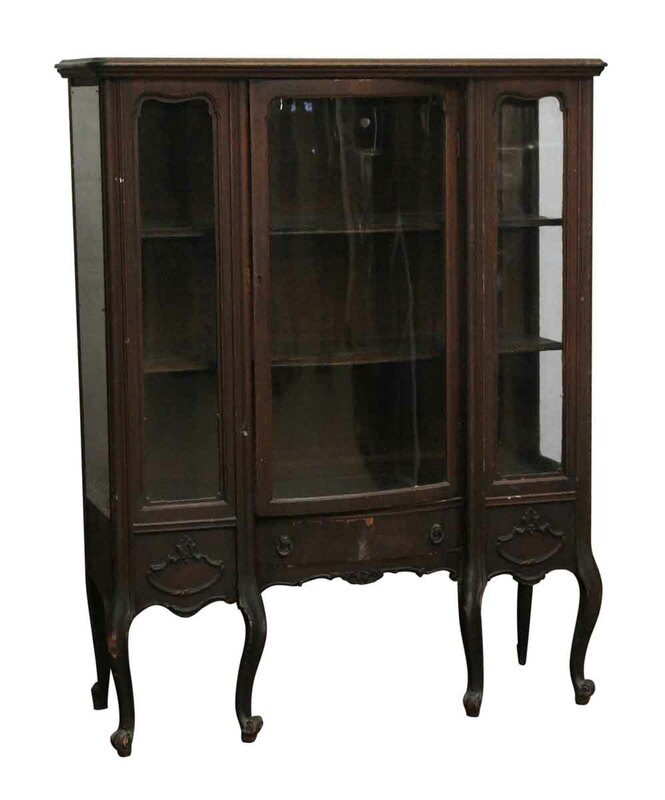 Antique dark wood tone curio cabinet with carved decorative details and curved legs. 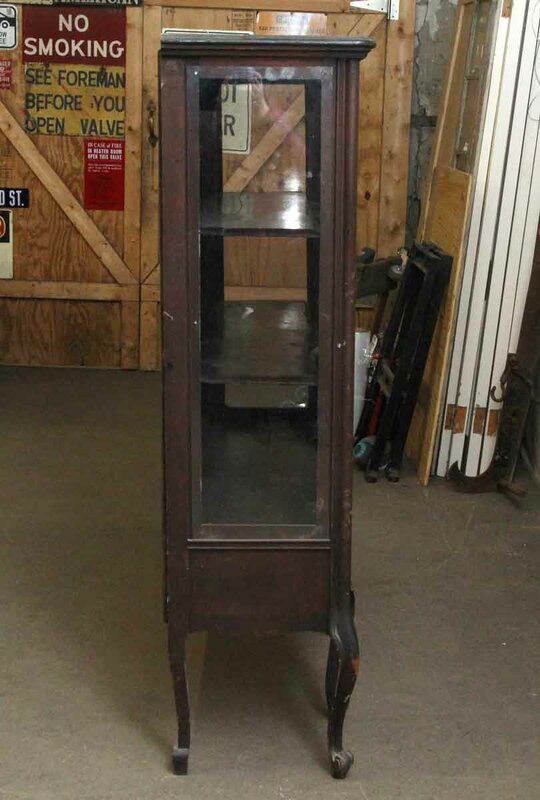 This piece was used in a Music School in NYC since the early 20th Century. 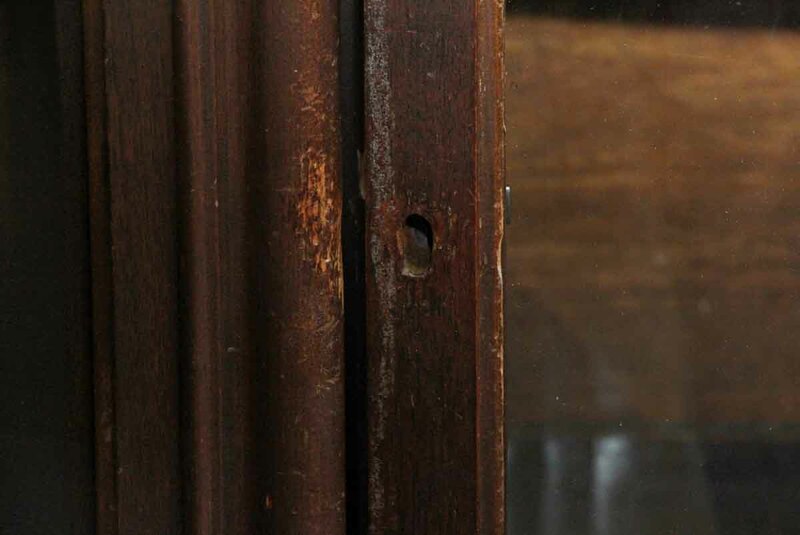 The left side has been replaced with plastic. 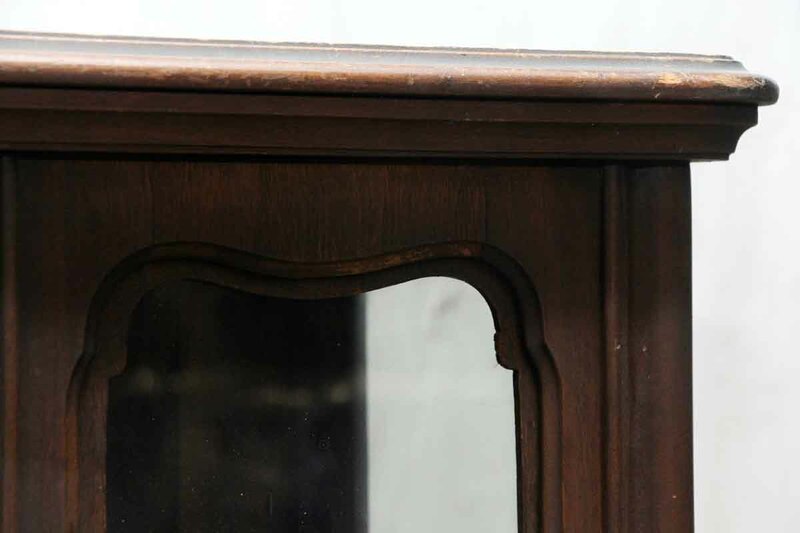 Only the middle door opens on this cabinet. 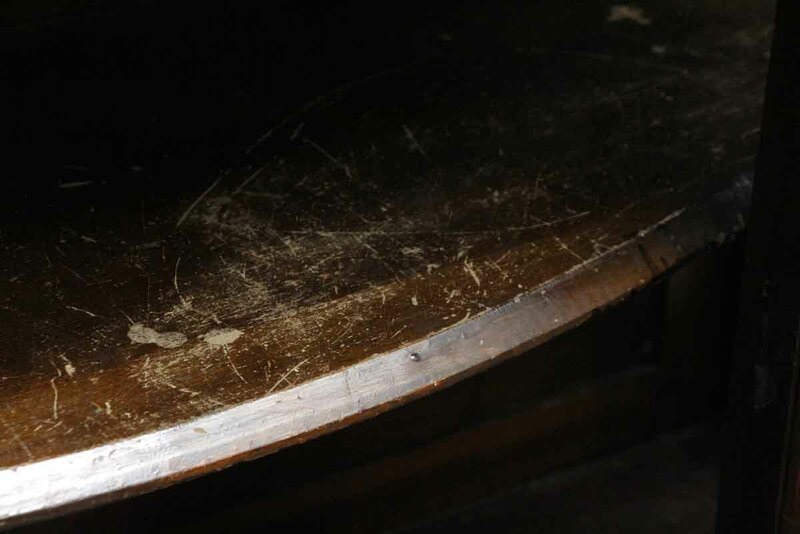 There is some wear and scratches in the wood from age and use.